Comics Experience Blog: Interview on iFanboy.com! Yesterday, I talked a bit about what I do and where my interest in comics first arose. Today, I realized that iFanboy.com (Thanks, Josh) did a long podcast interview with me and has posted it on their site. If you’re interested in hearing me drone on and on about what I’ve done and what I’m currently working on, this is the place to do it. Here’s the link. But come on back over here when you’re downloading it. 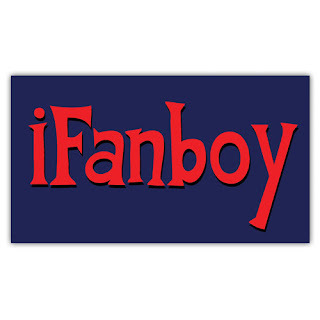 Most of the comments on iFanboy were positive from the listeners and that’s very much appreciated. Hopefully, you’ll enjoy it too. As you listen, I’d just like to jump in first to say again how much credit for everything “I’ve accomplished” is based on the work of great creative minds—writers and artists alike, but also fans and students who inspire, not just me, but those same creators too. We work hard because we love the same things you do! All of those things that I’m proud of personally, I’m proud of because of what I’ve learned and who I’ve met doing them. Sales are important to me so long as my bosses are happy and they are high enough to continue to allow me and others who love comics to do what we love doing. As for my writing, I’m just happy to be learning new things with every project. And I do. I’m a young writer and I may never be a great writer, but I hope to be at least a solid one someday. Maybe I should take my own classes! TRANSFORMERS #1 preview and interview on CBR!